About three kilometers of coast around Table Bay have been polluted by fuel oil which leaked from the "Seli 1" on Sep 7, 2017. Clean-up operations were still carrying on on Sep 10 after the oil had leaked from the wreck close to midnight three days before. The rough seas had battered what remained of the bulk carrier, breaking it further and allowing fuel residues to escape into the bay. Although most of the 660 tons of fuel had been removed from the wreck by Smit Salvage within weeks of the ship’s grounding on September 7, 2009, there were small pockets left in places that could not be reached. The salvors had warned at the time of the possibility of this being washed from the emptied fuel tanks in winter storms. The oil coagulated in the cold water and washed up in big lumps. The cost to wildlife has been minimal, with reports of only three penguins having become oiled. Volunteers were on Robben Island who will try to catch the three oiled penguins Initially Samsa had wanted to tow the ship out to sea and sink it, but the hull was too badly damaged to do so. Instead, they instructed salvors to cut away as much of the vessel as they could. This operation stopped some time ago partly because of the safety of the crew working there. The next step would be to flatten it completely. The navy may be keen to blast it, but there is also a cost to that. The authorities have banned swimming, boating, kite-surfing and surfing around the wreck. No shellfish should be consumed from the area as a precaution. 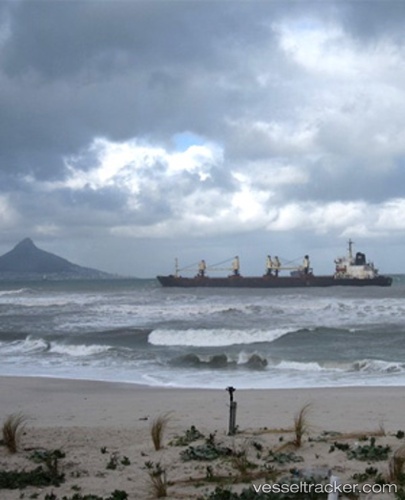 The City of Cape Town said the "Seli 1" wreck reduction operations have been successful. The City's Mayoral Committee Member for Safety and Security, JP Smith, expressed thanks to the Navy for their assistance with the wreck reduction operation. The results to date indicated that the operation has been a huge success. The city appealed to the public to not approach the submerged wreck. The wreck area was identified by means of an orange buoy, which has been positioned as a precautionary measure to prevent injury. The public and in particular recreational users such as kite surfers were warned to not approach within 100 metres of the wreck from any direction as it remained dangerous. The final assessment revealed that the hull has completely split apart and collapsed and is lying on the sea floor with most of the hull up to a depth of eight to 10 metres below the sea level. The bow section has been successfully reduced, with the highest point 5 metres below the sea level. The reduction of the wreck was expected to limit the erosion of the Table View coastline, which was being caused by the wreck. More significantly, it appeared that there is no further threat of oil spills, onshore pollution and contamination of marine life as there were no remaining pollutants trapped in the wreck. The assessment has, however, identified two portions - the aft and crane sections - which required further intervention to ensure that these did not pose a hazard to recreational users. In the interests of the safety of recreational users, the Task Team was currently looking at ways to address these portions, including possible further reduction by means of cutting. Oil leaked from the wreckage of the "Seli 1" off Blouberstrand in the afternoon of May 29. The navy had conducted controlled blasts to weaken the structure since May 27. The Multi-Agency Task Team monitoring the recent wreck reduction operation of the "Seli 1" recommenced work due to favourable weather conditions. The initial reduction efforts by the SA Navy’s Operational Diving Team (ODT) revealed the weakening of key areas of the wreck as initially intended, as well as the breaking up of the wreck in the weeks since the first operation concluded. Assessments however identified additional areas that required intervention, and a decision was made to resume wreck reduction activities in order to reduce potential pollution risks. Precautionary measures had been implemented by the Task Team to ensure the surrounding environment is protected and disruption to the public is kept to a minimum. But when it blasted one of the tanks underwater ruptured and released oil that was onboard the wreck. This resulted in an oil slick. There was no immediate threat to the shoreline and the marine life at this stage. The city's disaster rescue teams were too conduct investigations on Robben Island, Dassen Island, and at the Koeberg nuclear power station to see if there was any threat. Sanccob, the Southern African Foundation for the Conservation of Coastal Birds, was on high alert to assist with any birds which had been oiled or polluted." All necessary procedures were in place, and people were not allowed within 1000 metres of the operation area. This was the second spill from the wreck within one year. In September 2012, it leaked oil onto the city's beaches after breaking up into three pieces.